Dr. Lawrence Bauman is an experienced general dentist in Fanwood, NJ and is proud to have served the areas of Scotch Plains, Westfield, Berkeley Heights and Mountainside for over 30 years. As a highly skilled dentist, Dr. Bauman strives to create a comfortable and relaxing environment where patients feel more like fadmily. Our restorative treatment plans will incorporate cosmetic solutions to improve both the function and aesthetics of your dentition. Dr. Bauman has treated three to four generations of local patients and uses this experience to give quality care with tried and true dental methods mixed with new technologies that will best meet patients’ individual oral health needs. Our general dentist and his team offer the extra TLC to patients within a friendly and relaxing dental atmosphere where everyone is treated as a family member, rather than an impersonal number. It’s the personal touch that makes us different from most, creating a very relaxing and informative visit, maximizing total patient comfort. Dr. Bauman places a high emphasis on patient relationships and communication. 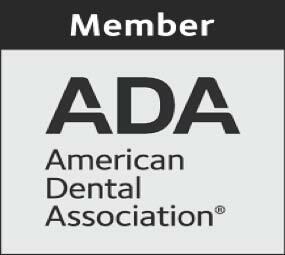 Through dental education and the use of visual models, we teach new patients proper brushing and flossing techniques and inform our patients how they may have healthy and happy teeth for a lifetime. We care enough about each patient to do all of the general and hygienic services personally. Patients’ time and oral health are respected. On-time appointments, serving one patient at a time, gives Dr. Bauman the time needed to handle the individual dental needs of his patients. When surgery or more complex treatment is necessary, we refer patients to a close network of oral surgeons, periodontists or endodontists as determined by oral health needs. Our general dentist works to save teeth with minimally invasive procedures that give best results. It’s a conservative approach to treating oral health concerns by saving as much original tooth surface as possible. Each treatment plan is created by Dr. Bauman with the purpose of restoring function with quality restorations that will not only last long, but will improve aesthetics as well. We offer many new cosmetic and restorative services that include veneers, porcelain crowns, fixed stationary bridges, teeth whitening, dentures and dental implant restorations that will seamlessly blend in with your natural teeth to give you a beautiful healthy smile. If you live in Fanwood or the surrounding areas of Scotch Plains, Westfield, Berkeley Heights and Mountainside, contact our office for more information about our dental services and schedule your appointment. We are true believers that preventive care and education are the keys to optimal dental health and strive to give you the best possible service and results. We want you to be confident knowing that we are highly trained and skilled clinicians and pride ourselves in providing the care you need to keep your smile healthy. Building a foundation of trust by treating our patients as special individuals is vital to our success as well as providing a relaxing and positive experience. We are dedicated to providing you with excellent, personalized care and service to make your visits as comfortable and pleasant as possible. We strive to provide a level of service that will not only satisfy you, but will exceed your expectations.